The ImageRamptm Barcode Validator utility, is a free tool to verify your barcodes are located on scanned documents and confirm the information contained in the barcode before you begin a data capture job. The Validator also lets users test file splitting based on barcode content or split every "n" pages. Whether your barcode information is used for indexing, file splitting, file naming or file routing, it is crucial your document capture solution correctly detects and captures the correct information. T o initiate this preview in the Page Viewer, users simply select the settings or options to indicate the file input, splitting and barcode options and then "Open" a file. 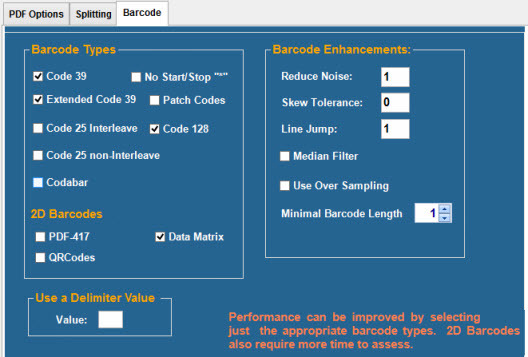 Using our highly sensitive barcode engine, ImageRamp Barcode Validator users can select the barcode types they are looking for and options to enhance the scanned barcode for the best possible barcode interpretation in the Barcode tab. For PDF input files, PDF Options settings determine how the PDF input file is rendered for the software to process and the Splitting tab allows users to set up and test file splitting based on barcodes or split every "n" pages if desired. 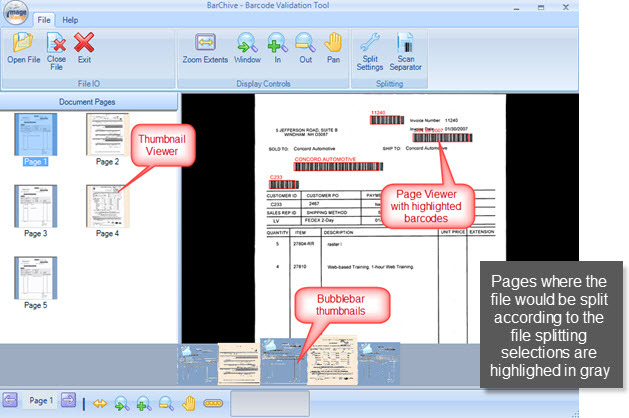 The Free Barcode Validator can be used as a standalone tool to view and test barcode capture. It can also be used inconjunction with ImageRamp for full-featured data capture and document scanning.